GoI-998 Wreck-21, 12/6/2015. Note the minimal corrosion. Containment Protocols: The primary region where RPC-998 manifested itself is fairly benign. Transient passive monitoring of its activity continues, although the main reality distortion field has been considered neutralized since 8/7/1953. Containment will focus on the shipwrecks left from Incident-998-53, which are not considered anomalous but must still be retrieved to maintain secrecy. Oceanographic mapping efforts, tours, cruises, diving expeditions and other marine traffic must be monitored in order to direct them away from RPC-998 and its immediate environs to avoid civilian contact with sensitive materials. All RPC-998 salvaging efforts are organized at and based from the Authority naval base AH-22; there is a small research wing housing all twelve recovered vessels and which serves as the site for researching this salvage. This includes other Invader artifacts of interest, such as aircraft, smaller watercraft, personal effects, etc. All research teams assigned to be on-site at RPC-998 have standing orders to alert the chain of command immediately should the field once again enter a phase of greater activity. Description: RPC-998 is a roughly circular field of weakened reality 300 km2 large in the Central Pacific Ocean, about 1200 kilometers off the southern coast of Hawaii. Prior to its neutralization on 8/7/1953, it served as a Thorne-Taylor direct physical linkage between Earth and a planet or region of space with extremely similar qualities to the non-anomalous Pacific Ocean surrounding it, designated Continuity-998. While displaying certain properties that allowed for safe interface with the surroundings, RPC-998 on Earth and its corresponding region elsewhere exchanged locations temporarily. Taylor-monitoring records do not extend to the pre-1950 period, but it seems that its active phase began sometime after 1945. For most of this period, it went unnoticed by the world as most shipping lines were far from its area. It is known that in the period between 1946 and Incident-998-53, it was a staging area for espionage operations on the part of GOI-998, a large, highly-organized military force who are known to exist on the counterpart region that RPC-998 connects Earth to. Ultimately, this espionage ended in a large-scale armed conflict between naval elements of GOI-998 and the Authority's Pacific Fleet (Incident-998-53), which resulted in the destruction of the GOI-998 fleet and the successful containment of RPC-998 itself. Remnants of the Taylor field remain, but they show vastly less activity than prior to 8/7/1953, and the linkage between Earth and the unknown region is presumed severed. Some researchers have petitioned that RPC-998 should be considered Neutralized for this reason. Review of these petitions is still ongoing. Due to the great difficulty of marine salvage operations, resource constraints, and residual radiation, only twelve of the thirty-two wrecks currently lying immediately underneath RPC-998 have been retrieved so far. 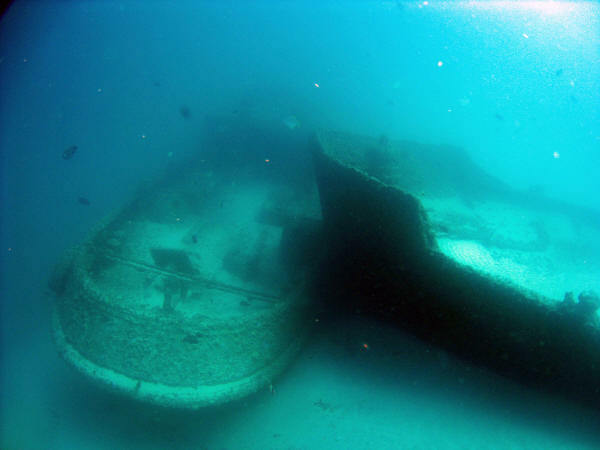 After six decades undersea, little remains of the sunken Authority fleet, but the GOI-998 fleet has been surprisingly resilient to natural corrosion. Scientific study of the recovered vessels has revealed unique use of ultralight, saltwater-resistant composites and alloys within their hulls. All of the largest vessels have remained relatively unexplored and untouched, but it is presumed their construction utilized similar materials. + Addendum: Incident Report 998-53 Overview. What follows is a rough timeline of events leading up to the Incident. This is by no means an exhaustive summary. Sometime after 1945, possibly during 1946 The Taylor field becomes active for the first time, and through some means GOI-998 become aware of the existence of the part of RPC-998 within their space. Some evidence suggests preliminary covert research expeditions through the use of dwarf submarines and smaller vessels. 1947-1948 It is known with certainty that during this early period, the Invaders had already used their highly-advanced technology to disguise a then-beginning thorough reconnaissance of Earth's military forces, focusing mostly on those of the United States of America, China, as well as the rest of NATO and the then-Warsaw Pact nations. These investigations were fairly sparse at first, but many of them penetrated with great speed into the intelligence communities of the time, gaining access to intelligence on military capabilities much more comprehensively than any spy network of the time. Notably, none ever learned of the Authority's existence nor infiltrated its intelligence networks directly. During 1949, GOI-998 efforts were suddenly redoubled in the wake of the Soviet nuclear tests and the beginning of the Cold War, and it was in 1950 that the first of their remains came to the Authority's attention. Throughout that year, it rapidly became apparent to the Authority from careful investigation and interrogation of captured personnel that their primary objective was to exterminate humanity, and to that end were evaluating the defensive capability of Earth's great powers. The GOI-998's region, designated Continuity-998 in this document, was directly connected to Earth through RPC-998, and a naval invasion was being staged on the part of the GOI, who had claimed to conquer the immediate region of Continuity-998, to establish a beachhead in this part of reality. From November 1950 to August 1953, the Authority made intensive refurbishment and re-servicing to its Pacific fleet with the intention of facing the GOI-998 directly, and the then-nascent ontological division was greatly increased in size and funding. GOI-998 stealth technology was reverse-engineered to counter-infiltrate the Continuity. Attempts were made at infiltrating the social structure discovered within, but these were largely met with failure due to its configuration, and thorough astronomical studies revealed no correspondence between the stars in the Continuity's night sky and Earth's. The Authority Pacific Fleet was still caught unprepared when GOI-998 unexpectedly made its primary assault at 9am PST on August 7th, 1953. A large detachment, roughly carrier group-sized, appeared in the middle of RPC-998 and immediately set a heading for Hawaii, presumably intending to invade that US territory. 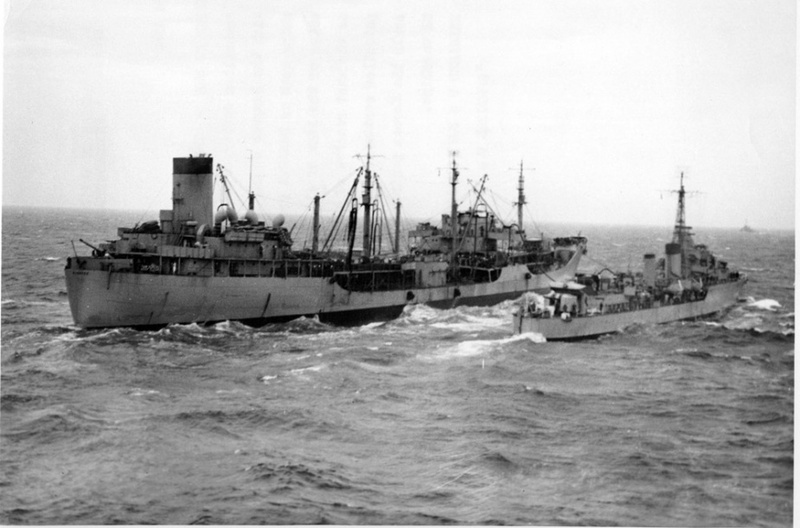 The Pacific Fleet rapidly moved to engage, as did US naval and air forces stationed at Hawaii at the time. While the US forces only succeeded in slowing down the GOI's advance, the Pacific Fleet successfully utilized nuclear munitions to completely destroy it, as well as terminate RPC-998's linkage to Continuity-998 using experimental Taylor-manipulation instruments. The Authority Pacific Fleet managed to minimize its own casualties thanks to the judicious use of early nuclear torpedo technology as well as quick, decisive actions by the Authority's commanders and crew. Many of them later earned service distinctions, posthumously or otherwise.